When siblings pursue the same career path, it gives them the unique opportunity to be both rivals and allies. Each will champion the other, even as they vie against each other to be the best. These chef brothers have all found a happy middle ground where they thrive through collaboration and by working alongside each other. To celebrate Siblings Day, here are three sets of chef brothers lighting it up in the kitchen. Bryan Voltaggio of Volt and Michael Voltaggio of ink. 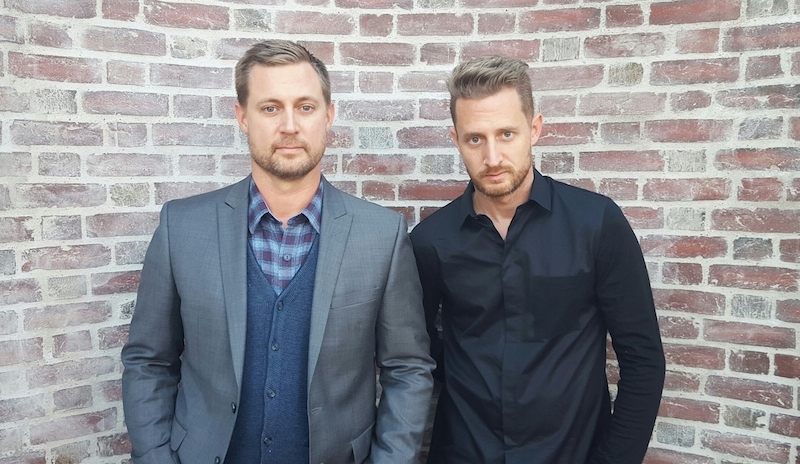 Most Americans first virtually met the Voltaggio boys when they competed on Top Chef in 2009. The show climaxed with a sibling rivalry of epic proportions as the modern-minded, molecular gastronomy loving chefs went head to head for the title. Ultimately, younger brother Michael prevailed. In a way, it didn’t matter because the appearance helped turn both of them into stars of the culinary universe. Michael opened the critically acclaimed ink. and its sister restaurant, sandwich spot ink.sack in Los Angeles. Over on the East Coast, Bryan’s Volt in Frederick, Maryland, became a must-visit destination restaurant, and he followed that success up by opening Range and Lunchbox in Chevy Chase, Maryland, as well as a number of Family Meal diners in Maryland and Virginia. The brothers have collaborated on several projects over the years, including the VOLT ink. cookbook and an as-yet-unnamed steakhouse in the MGM National Harbor casino just outside D.C. in Maryland, which is set to debut later this year. Make a reservation at Volt. Make a reservation at ink. For two brothers to both decide to become chefs is rare. For them to decide to work together as co-executive chefs? Almost unheard of. But that’s exactly what Indonesian immigrants Handry and Piter Tjan have done though it didn’t happen overnight. Piter, the older brother, first headed up Sushiko’s kitchen in 2008, during which time Handry worked as his sous chef. Ultimately, both left the Japanese restaurant to sharpen their skills elsewhere. Handry put in time at Austin’s renowned Uchi, while Handry stayed in the D.C. area for gigs at Thai Pavillion and Perry’s. 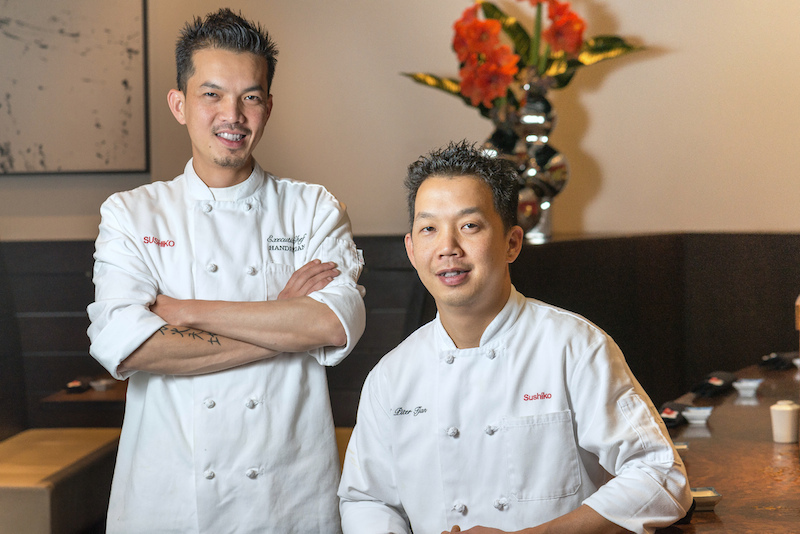 Finally, they reunited at Sushiko in late 2014, where they have been overseeing the kitchen as equals ever since. They have taken the omakase menu to new heights, featuring delights like kumamoto oysters and noresore (infant eels). There’s even a vegan omakase menu – yes, you read that correctly – where guests are treated to such animal-free delicacies as silky house-made tofu topped off with black seaweed “caviar” and ginger caramel dressed Brussels sprouts. Make a reservation at Sushiko. These two hardworking siblings started at the bottom of the kitchen hierarchy as fry cooks for the Great American Restaurants group. Nelson, the elder brother, ended up staying with the company for 22 years; Hugo clocked in 17 years. During that time, they each worked their way up to manager positions, which they both held for six years at the end of their tenures. Hugo left in July 2012 to become the head chef of CIRCA’s Clarendon location and Nelson followed him that September to become CIRCA’s senior executive chef. 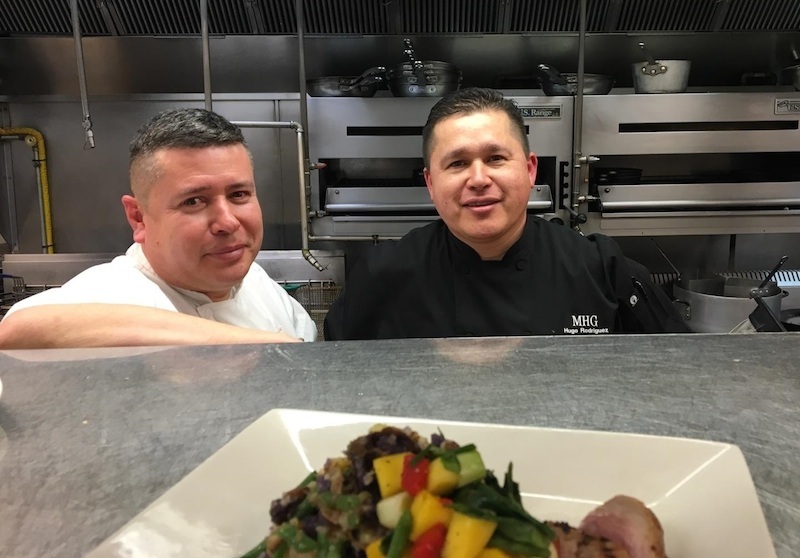 Though their menus tend to focus on traditional American favorites, both brothers enjoy cooking Hispanic dishes when they’re off duty. Make a reservation at CIRCA Clarendon. If you and your sibling were both chefs, would you want to share a kitchen or would you prefer striking out on your own? Let us know here or over on Facebook, G+, Instagram, Pinterest, or Twitter. While I’ve been to Ink only once (and Bryan happened to be there! ), I’ve been to Volt too many times to count. The consistency of food preparation, plating and service from day one has been incredible. Servers are incredibly knowledgeable about what’s on the plate and some are seeking Sommelier certification, so they know wine, too. Cooks and chefs do what they do because they love their work and that love shines in every dish. I have often wondered what would have happened if Bryan had not been on Top Chef. I feel confident that his skills would still have made Volt a destination restaurant in the mid-Atlantic; after all, he had the skills well before Top Chef Season 6 (widely acknowledged as the best Top Chef ever!). Nevin – you’ve made me quite hungry!